Carter's opinionated letters begin with his first posting near Fairfax Station on September 27, 1861. 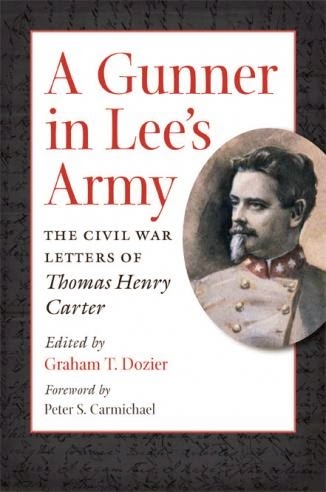 In quick succession, he concludes that Adjutant General Samuel Cooper "is an imbecile," and commanding General Joseph E. Johnston "is a man of splendid abilities & every inch a soldier but I take it he is lazy if I may judge from the want of system evinced on every side." Not all of Carter's observations were so critical. At the Battle of South Mountain on September 14, 1862, he comments on the conduct of Colonel John Brown Gordon. Carter maintains that Rode's Brigade would have been destroyed "but for the gallantry of Gordon who kept his Regt under perfect control when every other Regt broke & fled, marching it so skillfully under a terrible fire as to cover the retreat."